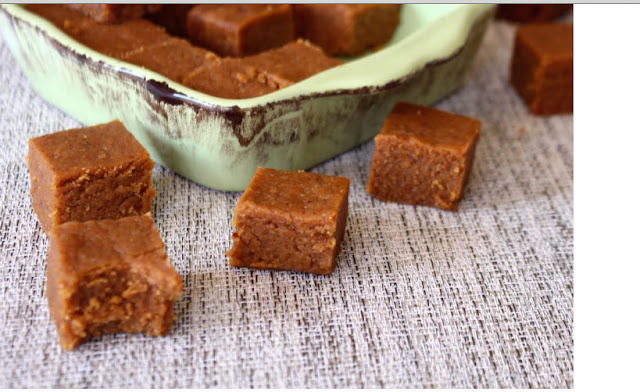 WARNING: If you do not like peanut butter, don't make this recipe! It may send your taste buds into peanut butter overload! I simply love how delicious and easy this recipe is and nobody who tastes it would guess it's healthy. With only two ingredients, this is my go-to recipe when unexpected friends stop in to say hello. 1. Process all ingredients in the food processor until the dough turns into a ball. Press the mixture firmly into a pan lined with parchment paper. 2. Freeze for 2 hours. Cut into squares. Serve and enjoy. Extras can be stored in the refrigerator for up to 1 week or the freezer 1 month. Helpful Hint: Cut your fudge while it is still frozen, but then allow it to sit in your refrigerator for up to 3 hours before serving for the best appearance and texture. Share This post with friends..